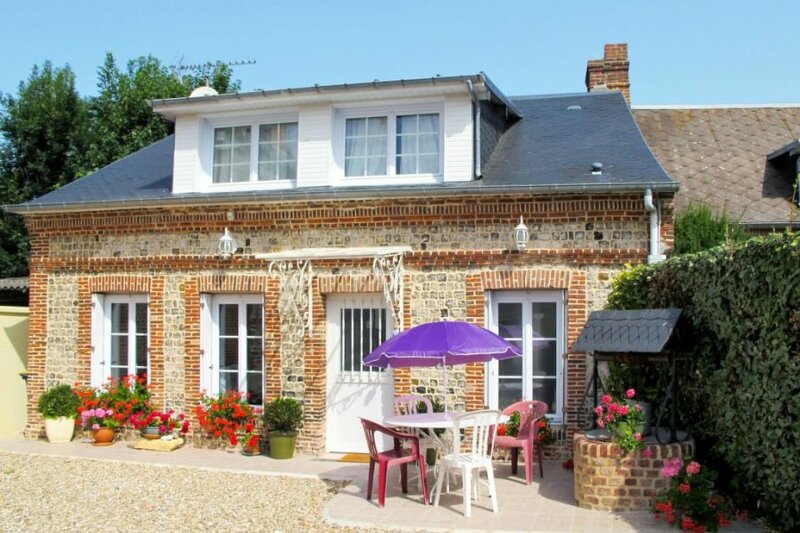 This 2 bedroom house is located in Saint-Pierre-en-Port and sleeps 4 people. The house is near a beach. Equipment: satellite TV; internet access (please bring your own network cable) (included); washing machine; electric heating. € 8 per person and stay (depending on occupancy). Electricity according to consumption approximately € 0.18/​kWh. Final cleaning by tenants or against payment, € 30. Holiday resort tax. Linen/towels Bed linen available (beds are ready-made upon arrival). Towels must be brought along. Deposit € 250 (in cash). Pet not allowed. Estate (private use): approximately 200 m², partially self-contained (wall), gravel. Important information: The back side of the owner's house is a part of the border line of the farm. Access to the owner's garage over the farm. The agent describes this house as an ideal holiday rental for the summer holidays. It is also good value for money. This house is located in Saint-Pierre-en-Port. The nearest airport is 223km away. It is set in a very convenient location, just 0 metres away from a beach and only 200 metres away from the city center.